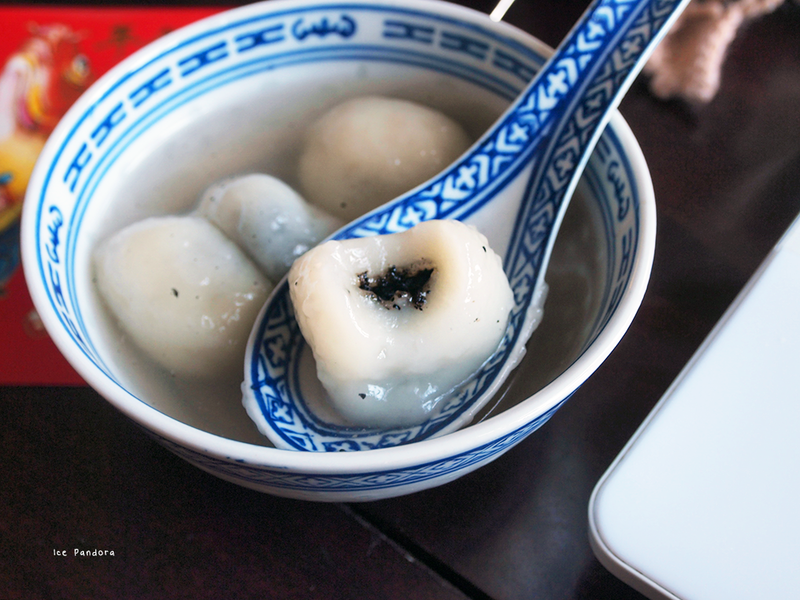 As promised a share and view of my cooking of ‘tong yuen- 汤圆’ also known as glutinous rice dumplings! It’s also a ‘lucky’ food to eat around the Chinese New Year which of course happens this year (this post). But of course tong yuen can be eaten all around the year. And it sure was one of my favourite childhood dessert treats too! 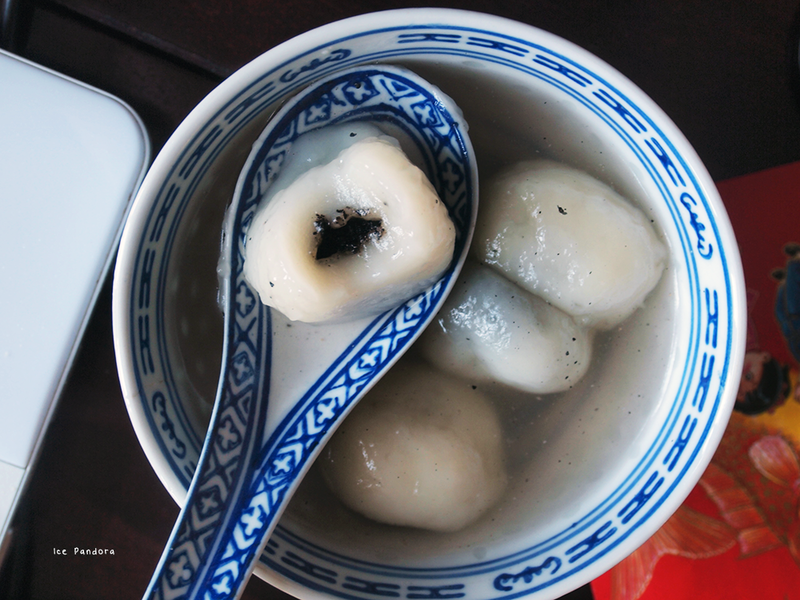 Every time my mum makes them (and she makes them a lot) it was joyjoy: the perfect sweetness while biting through this soft dough glutinous rice dumpling is just a perfect mouth treat! 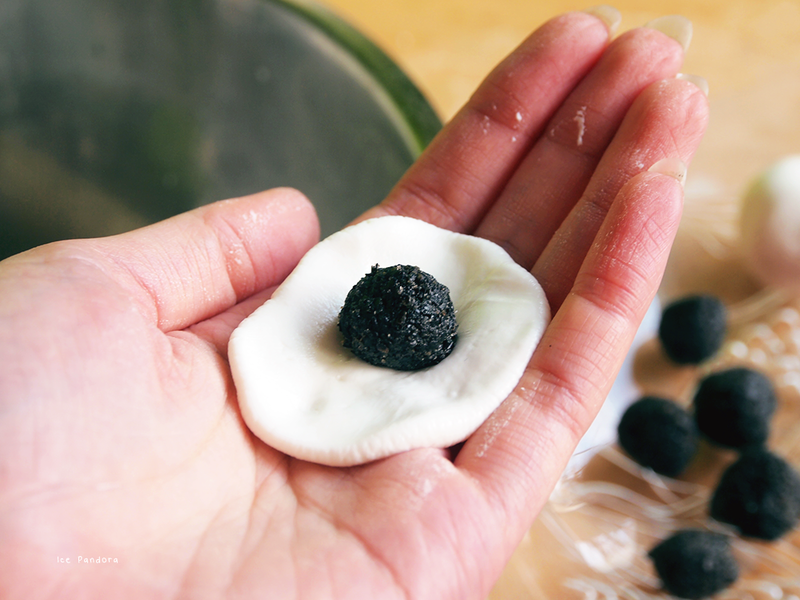 But today I want to add some extra to these dumplings: black sesame! Zoals beloofd wil ik jullie laten zien in het bereiden van 'tong yuen- 汤圆' ook wel bekend als kleefrijst dumplings! Het is ook een 'geluk' eten om rond het Chinese Nieuwjaar te eten wat dit jaar bij ons niet onbrak (deze post). Maar natuurlijk kun je tong yuen gegeten gedurende hele jaar. En het was zeker een van mijn favoriete jeugd eten! Wat een traktatie wanneer mama ze weer maakt: de perfecte zoetheid terwijl je door het zachte deeg kleefrijst dumpling bijt. Maar vandaag wil ik wat extra toevoegen aan deze dumplings: zwarte sesam! In a bowl: mix black sesame powder, melted butter and sugar until well combined. Then turn the filling into small balls, size of a grape. Then set aside in the fridge. 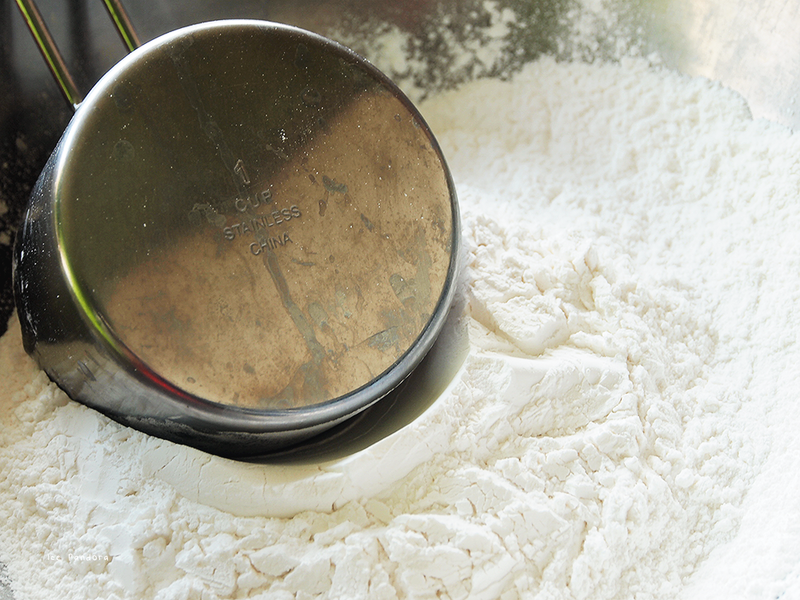 Dough: mix the water and the flour in a large bowl until a smooth non sticky dough. 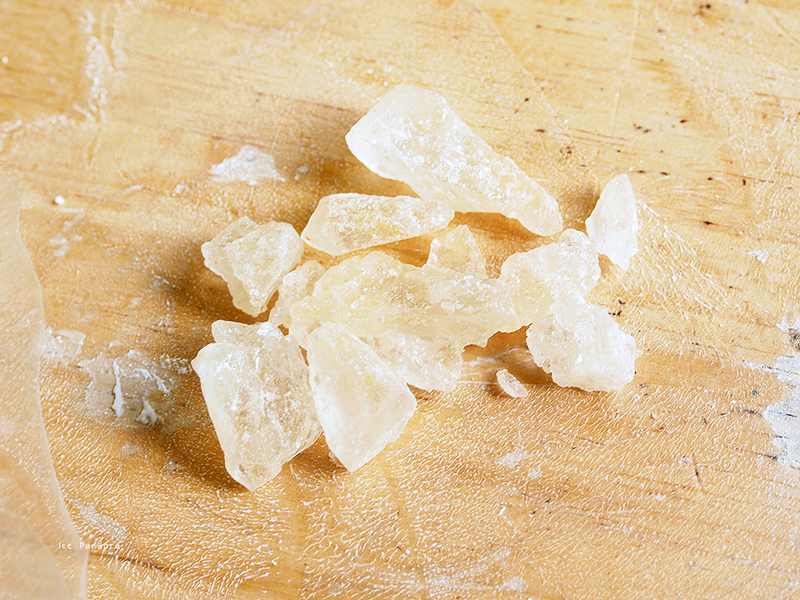 Divide the dough into 20 equal pieces. Flatten the dough pieces in a disc and place 1 black sesame filling in the center and fold and closure it. 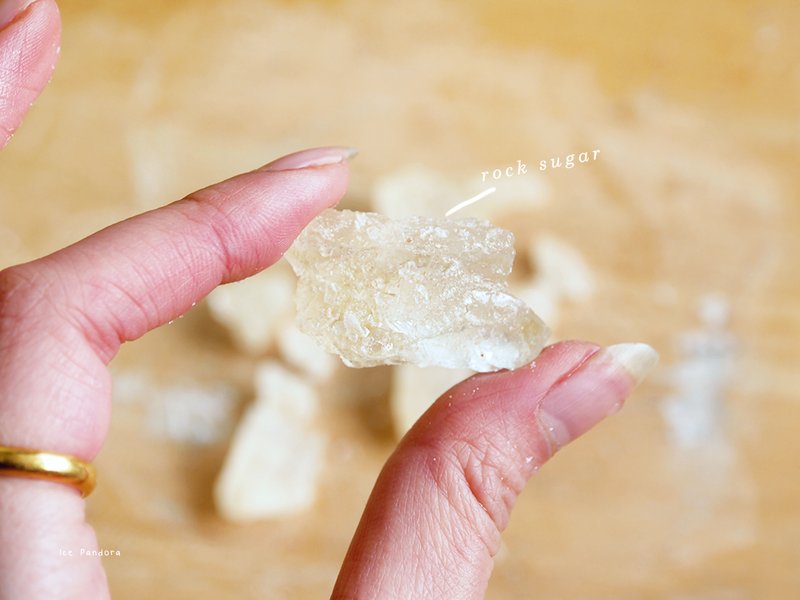 Do this with the rest of the dough pieces! Soup: boil up the water + ginger + sugar in a pan until it's boiled. Then, reduce heat to low heat. 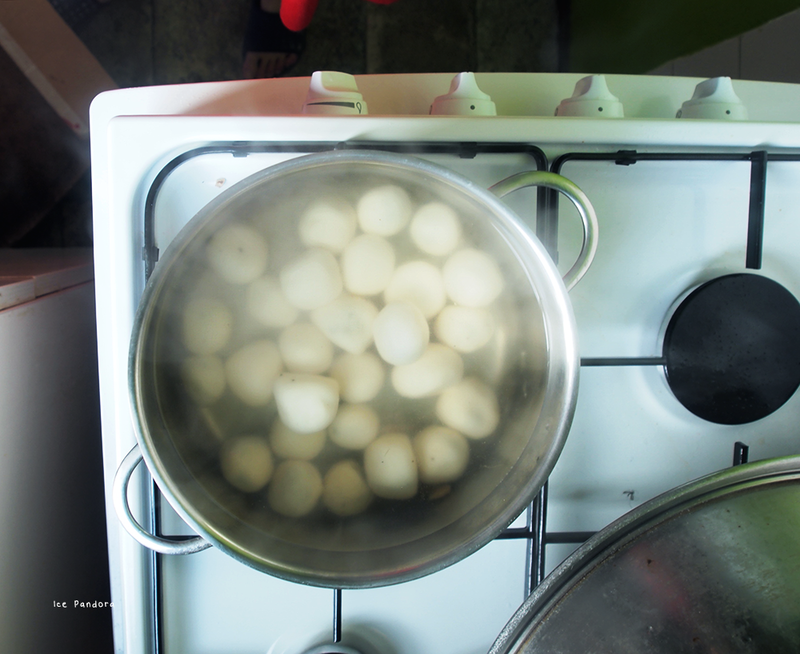 Drop the dumplings in the boiling water. You know they are cooked when they float on top. Serve while they are hot! Enjoy! Beetje stomme reden om het niet te kopen en daardoor jouw recept niet te kunnen maken. YUMMY! 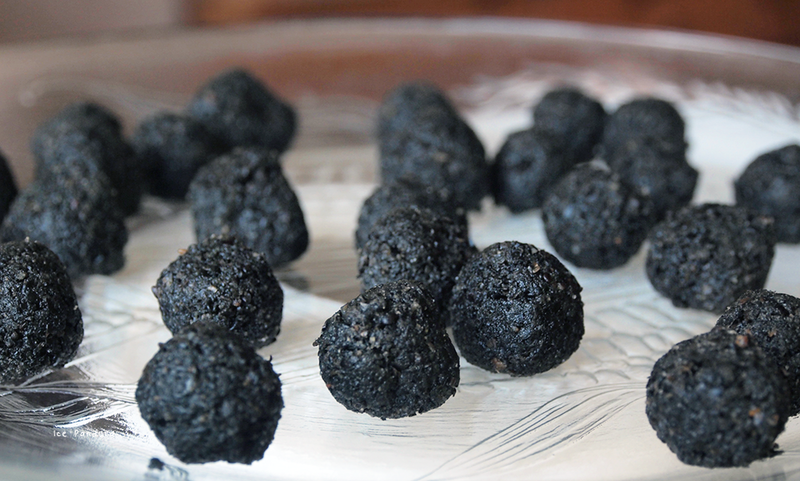 I love these with black sesame seed filling and also crushed creamy peanut! My mother makes the soup with really old ginger and A LOT of it so our soup is very strong, a bit spicey and then we need to sweeten it. I love eating these no matter what time of the year but I haven't had some in a while! It's so fun making these isn't it? I love these, that's so cool that you made them yourself! I haven't had them in ages. Looks yummy! 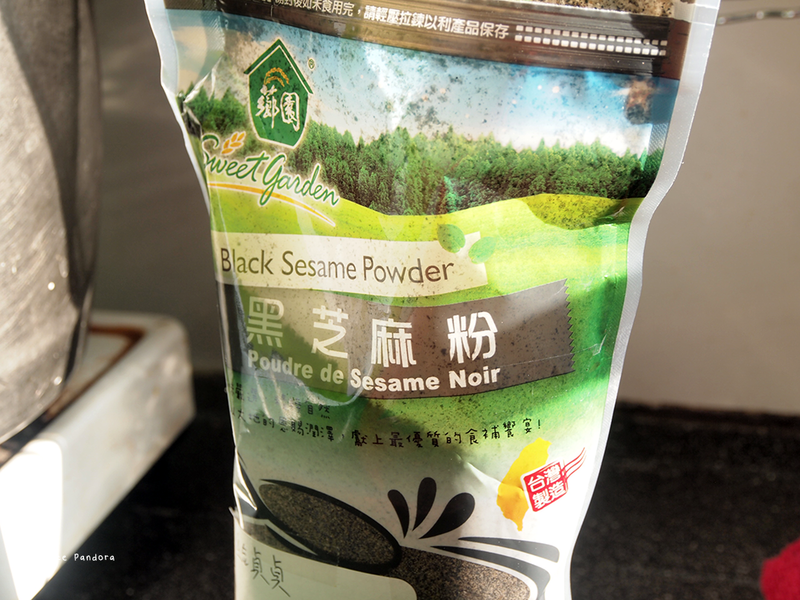 I love the taste of black sesame for desserts! These look very delicious! I will have to try making them one day. i love that it has the powered black sesame. i used to mix that with milk and drink it every morning. i have been looking for some around here but they only sell them in bean form which i have to heat up on a frying pan and grind myself. great recipe! i love that it also has a sweet memory of your mom too!